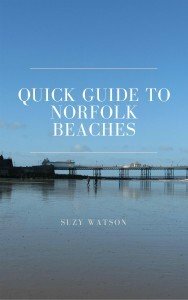 Norfolk boasts a host of castle ruins, but 6 in particular really stand out to me, and I hope to you too. The six I have in mind are beautifully maintained, and I defy you to pass through Norfolk without visiting at least one of them. 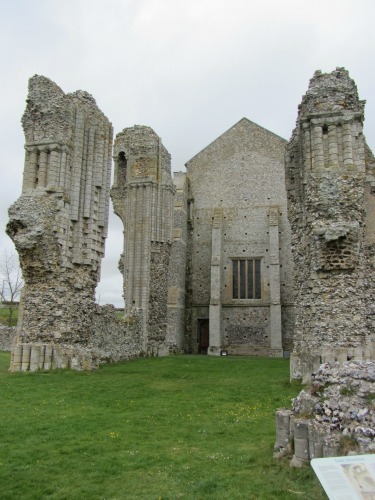 First though, before I get onto my six favourites, let me very briefly take you back in time, to give you a little insight into why these Norfolk castle ruins are worth visiting, and why we have so many in Norfolk. During the time of the Norman Conquest back in the 10th and 11th centuries, Norfolk formed part of the earldom of Harold I of England. It offered no active resistance to William the Conqueror and castles and churches were consequently built. Norwich also became a prosperous port, and during this time, over 20 castles were built in Norfolk. 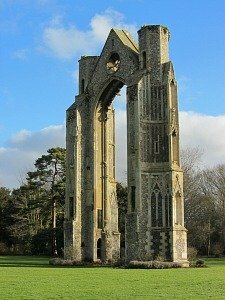 Most of these Norfolk ruins therefore date back to Norman times – the 10th and 11th centuries - 800 years ago and they play an incredibly important part of our English history. But the fact that they are still standing today, and that some of the stonework is still in amazing condition is testament to the quality of the stone masons and architecture of the day. You get a real feel of what life in a medieval castle must have been like. Some of the ruins are castle ruins, others are abbeys and priory ruins. 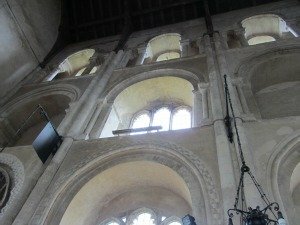 One of the most notable features about all the sites in Norfolk is that the castle floor plans, or priory floor plans are all so well-maintained and preserved, but at the same time giving you a chance to wander around uninhibited, producing some thought-provoking moments about life in Norman times. 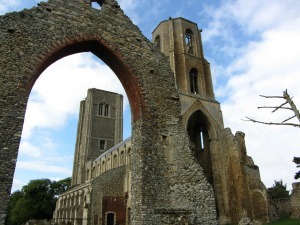 Get a feel for Norfolk history within these castle ruins. 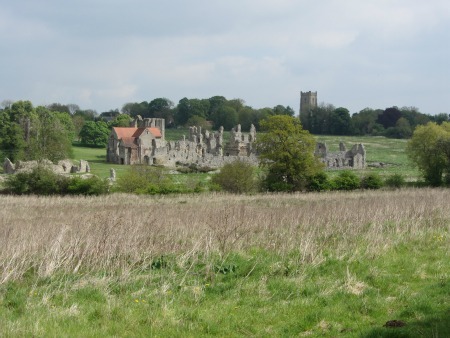 You can stretch your old grey matter by imagining how the monks must have walked slowly around the cloisters to prayers, been busy in the parlour, or to the refectory to eat their very simple meals - a perfect example of this is Binham Priory. Kids love castles, they love building castles, and they find huge excitement from “old” places, these are great days out for them, as well as for you. 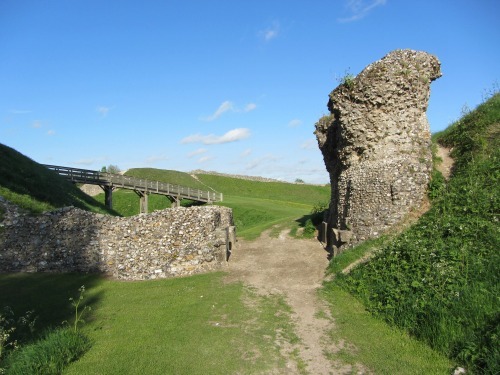 I love spending time at Castle Acre castle. My dogs love it too. It’s a great family spot to come and enjoy the surroundings of a place that is really quite special. 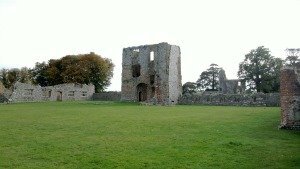 A Norman castle with wonderful views, lots of green grass to run around and a bit of history at the same time. 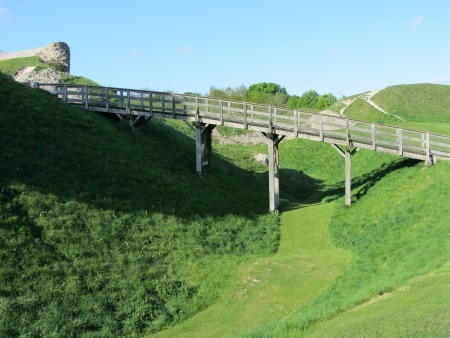 Walk around the moat or picnic within the ramparts. And while you’re at the castle, why not nip down the road to the Priory. Have a walk around it, or pay and go into the precincts of it. Again, this is beautifully kept - a real English treasure. Sitting just above the picturesque trout river, the River Nar, and surrounded by trees, both the castle and priory are definitely worth the trip (and you’ve got the tea rooms and pubs in the village, what more could you ask for!). 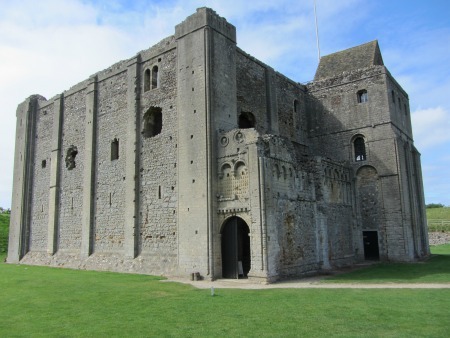 Castle Rising is one of the most famous 12th century castles of England. Go and have a look at it. One of the best castle ruins in Norfolk. You get incredible views over to The Wash and also inland. The stonework is still very much intact and you get a real sense of how important this castle must have been and how you would have lived life in a medieval castle. This is a real gem in Norfolk’s treasure. There’s also much more waiting for you inside as well….. This is extraordinary. You’re driving along and come into the smallish village of Binham, and there, just to one side of the village is Binham Priory. Part of this priory, the Priory Church of St Mary and the Holy Cross, is still used today for regular church services, the naval interior of which stunning. Dating back to 1091, you can marvel at the masonry on the detached columns outside, the work that must have gone into building this priory, with the tools available at that time, is just amazing. 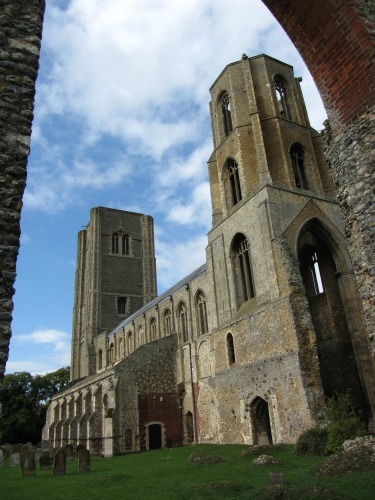 You can’t fail to be bowled over by all these historical castles, abbeys and priories that Norfolk has to offer. 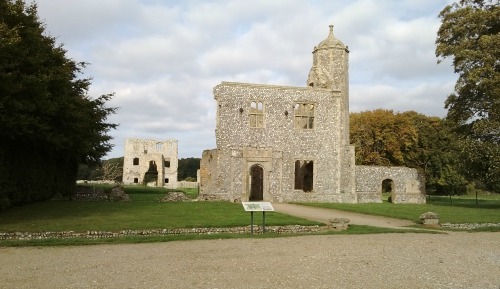 Baconsthorpe Castle is one of the more difficult castle ruins to find in Norfolk! But once you've found it, in amongst the fields, you'll be suitable impressed. This is a wonderful example of an old gatehouse, surrounded by a lake. Wander around, read all the boards, and by the end of your visit, you'll understand exactly how this specific ruin was lived in. Wymondham Abbey rises high out of the middle of the busy market town of Wymondham. 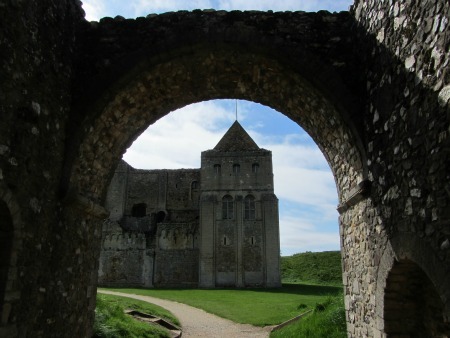 Dating back to 1107, it has two huge towers, one still in use today the other a ruin. When it was built, it was much larger than it is today, and you can still walk around the ancient ruins. The interior is still very much in use. It has an incredibly ornate alter screen which is definitely worthy of a visit. 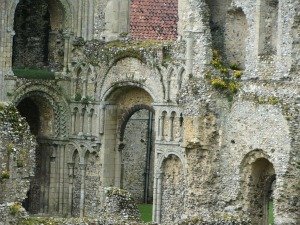 Famed for it's yearly pilgrimages, as well as the amazing carpet of snowdrops in February, Walsingham Priory has a limited opening time during the year when you can visit. It's an incredibly peaceful and serene place to come and amble around, full of history and beauty. Dissolved during Henry VIII's time, it is amazing to see this huge east window still standing, alone but strong. The grounds and museum are open from November to January, the snowdrop walk is open for the month of February and the grounds are also open weekdays in March, so you need to pick your time.